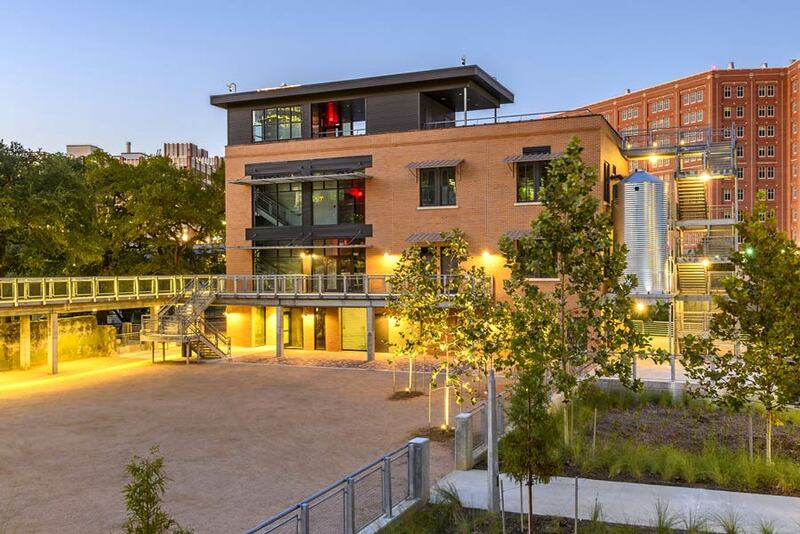 Central to the continued revitalization is restoration of the Sunset Coffee Building, one of the few remaining industrial buildings on Buffalo Bayou and a contributing structure within downtown’s Main Street/Market Square Historic District. The Sunset Coffee Building was built in 1910 as an annex to the 1880’s W. D. Cleveland & Son’s wholesale grocer supply building. Both buildings were located at the foot of Main Street and specialized in accepting goods as they came into the port. The Sunset Coffee Building functioned as a coffee roasting company, indicating coffee’s key role in Houston’s economy and development.